Packaging after-dinner leftovers can be something of a challenge in our house. Moments pass. Then a wad of plastic wrap goes sailing into the living room. Moments pass. A second wad of plastic wrap (this one launched by me) goes sailing into the living room. Jerry: Maybe it will fit into a little container? Plastic wrap has long been the bane of our kitchen. The metal teeth on the box will cut part of it, but not all of it. If the wrap is within 2″ of the box, it sticks to itself as if it were in a strange gravitational field. But getting the plastic wrap to stick nicely on anything once it’s out of the box is a disaster. Jean: What did people used to do? Jerry: They starved a lot. So when there was food, they ate it all. This is clearly not a problem today (as my belly will attest to). But in a slightly less-distant past, back in the “good old days” when plastic wrap actually worked the way it was intended, it was made from polyvinylidene chloride. In 2004 it became in vogue to use low-density polyethylene (since vinyl and chloride are both chemicals that create a lot of problems, this was probably a really smart move). The new version may have made manufacturing cheaper and eliminated concerns about chloride, but it also doesn’t work. Except as interesting, non-harmful indoor projectiles when wadded up. All filmy plastics, including our wads of plastic wrap and sandwich bags, can be recycled with the plastic bag recycling. Which is good, but it is ridiculous for me to buy something just for the sake of recycling it. 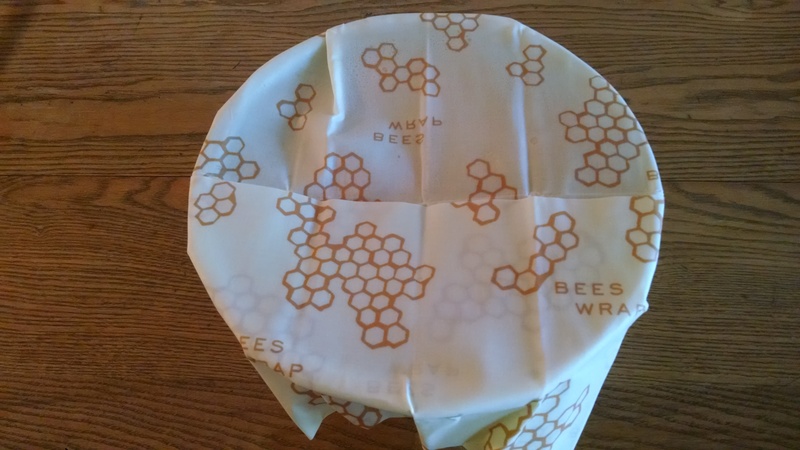 Since I’ve been fortunate enough to never be close to starvation, I needed a better solution, and found it in beeswrap. Its natural, reusable, and wait for it…really works. I’ve been using it for three months now and only wish I had given up on plastic wrap years ago. < Previous What goes into a Community Supported Forest? Next > What Comes out of a Community Supported Forest?